The burrito chain split with previous agency partner Edelman last October due to a client conflict. DENVER: Chipotle Mexican Grill has picked Burson-Marsteller as its US AOR as the company tries to rebound from the E. coli crisis that caused widespread reputational damage and bogged down its fourth-quarter earnings. Chris Arnold, communications director for the QSR chain, said Thursday that the company is "meeting with Burson tomorrow and will begin to map out a plan based on our priorities and needs." He declined other comment on the matter. "We are delighted to have been chosen by Chipotle to be their new communications partner and look forward to getting started," Burson US CEO Michael Law told PRWeek via email. 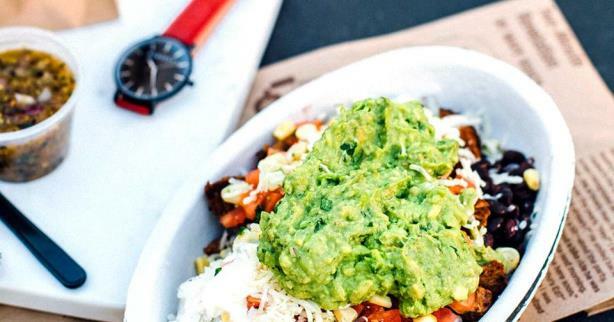 Chipotle split with previous AOR Edelman last fall due to "a sizable piece of business they were taking on that presents a conflict," Arnold said at the time. In 2014, Edelman, along with Creative Artists Agency Los Angeles, won the Grand Prix and a Gold Lion at the Cannes Lions International Festival of Creativity for its work on The Scarecrow campaign for Chipotle. More recently, the chain has been focused on rebounding from a widespread E. coli scare that began last fall. It has enacted several food-safety procedures, and it closed the doors of restaurants across the country on February 8 to ensure all employees were up to speed. The E. coli outbreak had a significant financial impact on the company last year, as it posted $997.5 million in fourth-quarter 2015 revenue, a drop of 6.8% from the same period of 2014 and its first quarterly revenue drop since the chain went public in 2006. Fourth-quarter restaurant sales dropped 14.6% year-on-year, and net profits for the full year were down 44% to $67.9 million. Steve Ells, Chipotle founder, chairman, and co-CEO, called Q4 2015 the "most challenging period in the company’s history" on an earnings call. The company’s share price has risen about 15% since the Centers for Disease Control and Prevention said last month that the E. coli outbreak was over. However, some analysts said in late February that the stock could drop another 24%, doubting the company’s ability to recover from the crisis. This story was updated on March 3, 2016 with comment from Burson US CEO Michael Law.